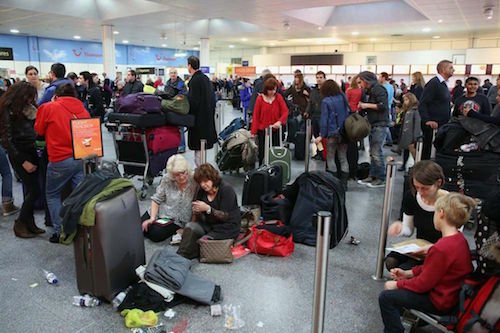 What do I need to pack for a ski holiday? In reading this guide, it is worth bearing in mind that I travel light; I don’t like paying for extra luggage on the plane and I hate carrying piles of suitcases while schlepping through the airport sweating (because I am wearing my week’s clothing) while my kids try and climb on every static object. 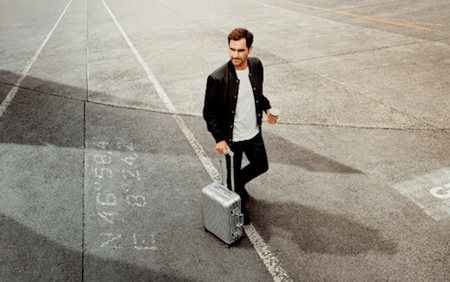 Others may not share my vision but I see myself as a kind of travelling Roger Federer: dropped off by a shiny car at the airport door, then gliding through security in a nice summer suit – with a discreet and very elegant piece of cabin baggage just behind. Anyway, when packing for a ski holiday, I always find it is best to split things into two essential main categories: ‘On the snow’ and ’Off the snow’ – working from toes to top. Then you can look at the third category too: ‘Accessories’. What clothes you require for the early mornings and evenings depends on what you want to get out of your ski holidays but this guide is not for the young men who don’t leave home without at least two deep-v’s, nor for the women considering taking a pair of kitten heels. You will definitely need fewer pieces of clothing than you think. Two or three outfits for slopping around the chalet, apartment or hotel should be sufficient for the week. The Chalet Company does, however, recommend more than two pairs of pants. Even if you head out for an evening, the dress code in Méribel (and many other resorts) is super-relaxed. Snow boots + jeans + hoodie + jacket + beanie + gloves will not stop you gaining entry to even the swankiest of establishments! Most accommodation providers, including the lovely people at The Chalet Company, normally provide certain items to make your stay more comfortable. As such, no need to pack a hairdryer or towels but you will need some essential bits and bobs that normally won’t be included. European Health Insurance Card (useful for those in the EU, including the UK for now). But where to stay? Where to stay? Well that’s what to pack. When it comes to accommodation you will be very well looked after with The Chalet Company, which is why we get so many 5-star reviews like the one below. Take a look at our pricing and availability for 2018/19. What’s new in Méribel for 2018/19? When’s the best time to go on a ski holiday in Europe?